ZDoom • View topic - Why is searching on the web so retarded? Why is searching on the web so retarded? Re: Why is searching on the web so retarded? Caligari87 wrote: If Google negates your "exact search in quotations" it's because it legitimately couldn't find that result, meaning usually that it hasn't indexed whatever page you think it might be on. 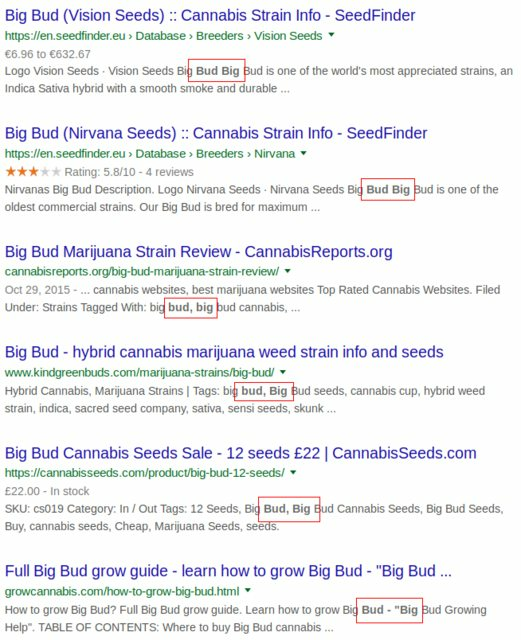 gramps wrote: Here's an interesting experiment: Try searching "bud big" -- you'll get pages and pages of "big bud" with no "bud big" in sight. You'd think the words "bud big" had never appeared on the web in that order. But try searching "bud big red" - suddenly you'll see "Bud Big Red Box 24," "my best Bud Big Red," and so on. As you can see here, it has indexed pages with "bud big," but doesn't return them when searching for that term (at least, not before returning pages and pages of "big bud"). It's more than just not having indexed pages. It has decided that "big bud" is a common phrase, and "bud big" is not (which is true). 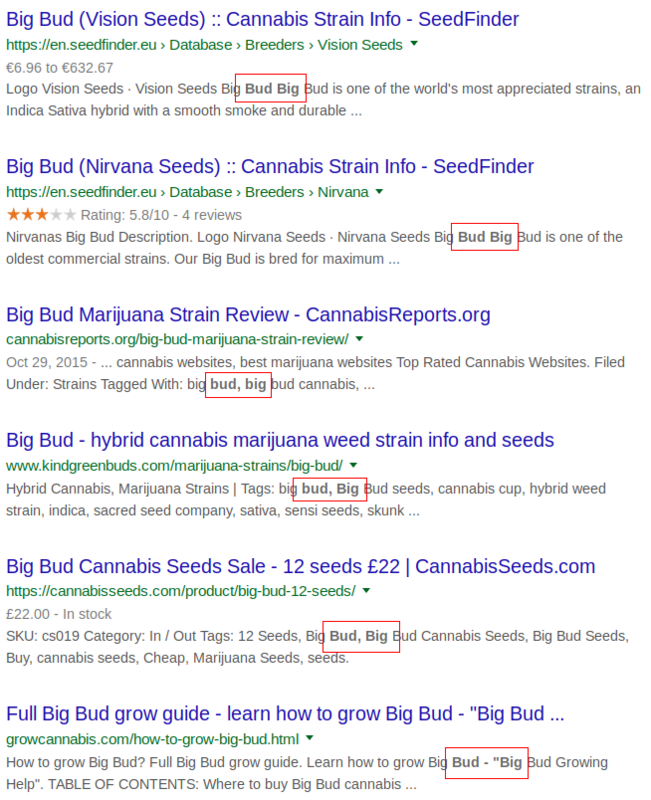 So it decides I must actually have meant to search for "big bud" (which is not necessarily true). This is not how exact search always behaved -- it may have always thrown out symbols when indexing stuff, but this transposition thing is a new problem. If any amount of advanced searching or search operators will bring back exact search, I'd love to hear about it. Exclusion gets you maybe halfway there but has its own issues. So far as I know, symbols and punctuation have always been excluded from exact text searches. It does an alright job of finding blue, green, red in that order, but there are also results where those words never appear in that order. The sixth one down for me (using private browsing / incognito window) is a link to Reddit where those words never appear in that order. There are more on the next few pages of results. The majority of the results are "blue green red" but there are also results that aren't that, only "red green blue," and these are on top of more "blue green red" results. It's the same for "bud big," once you get past the first page or so of "big bud big bud" matches, it's just finding "big bud" straight out, where we already know from specially crafted searches there are more "bud big" it hasn't shown. This word transposition is definitely a thing now, and it's annoying. Of course we don't know if they use the exact same magic sauce for organic search results, but it sure looks like something close. Advertisers have taken to using that same exclusion trick, going to great lengths to automate the process of generating large lists of exclusions by creating scripts to generate all possible transposition combinations and so on.